We looked at the top 16 Coffee Makers and dug through the reviews from 184 of the most popular review sites including Best Products, BestReviews, Consumer Reports, New York Times Wirecutter, Digital Trends, GQ and more. The result is a ranking of the best Coffee Makers. Our experts reviewed the top 16 Coffee Makers and also dug through the reviews from 184 of the most popular review sites including Best Products, BestReviews, Consumer Reports, New York Times Wirecutter, Digital Trends, GQ and more. The result is a ranking of the best of the best Coffee Makers. This coffee maker is reliable, fast and convenient. You'll find its interface intuitive and easy to use. It turns out a consistent, great-tasting cup of joe every time. DWYM Kitchen Experts plus Consumer Reports, New York Times Wirecutter, Good Housekeeping, Reviews.com, CNET, Wired and 3 more. Along with user reviews from Amazon, Bed Bath & Beyond and Home Depot.
" Highs: Met recommended guidelines for brew performance and duration. -Fairly convenient to use, based on our judgments of setup, operation, and cleanup. - In a challenging test of coffee makers, we also brewed a full pot using a filter..."
"he OXO’s unintuitive interface means that programming the timer without reading the manual can be difficult, but it’s pretty straightforward once you get the hang of it"
The Cuisinart DCC-3200 is a great value for its price point. It comes with a number of helpful special features, including an adjustable keep-warm temperature-control function and an inbuilt charcoal filter. DWYM Kitchen Experts plus Top Ten Reviews, Tech Gear Lab, Digital Trends, BestReviews, Best Products, Consumer Reports and 2 more. Along with user reviews from Amazon, Walmart, Target and Best Buy.
" This Cuisinart coffee maker lets you know when the coffee is done brewing and when it needs to be cleaned." "Lows: After initial break-in, testers still noticed some plastic off-tastes in hot water cycled through the machine, though you might not detect in coffee you brew." For an affordable price, this easy-to-use model turns out a tasty cup of coffee. Some additional features, like an automatic shut-off to keep your coffee from burning, give it an extra edge. DWYM Kitchen Experts plus New York Times Wirecutter, Consumer Reports, The Coffee Concierge and 2 more. Along with user reviews from Amazon, Walmart, Target and Google Express.
" After considering 17 cheap coffee makers and testing the six most promising candidates, we think that the Hamilton Beach 12-Cup Coffee Maker (46205) is the best. For a little more than the price of three bags of specialty coffee beans,..."
"Low: Fell short of recommended guidelines for brew temperature and duration." Having this coffee maker is like having a personal barista in your kitchen. It allows you to customize your beverage exactly how you like it. DWYM Kitchen Experts plus Consumer Reports, Digital Trends, CNET. Along with user reviews from Amazon, Walmart, Target and Best Buy.
" Highs: Met recommended guidelines for brew performance and duration. - Fairly convenient to use, based on our judgments of setup, operation, and cleanup." "Concerning the included set of accessories — i.e. the Ninja brand scoop and integrated coffee filter — the machine doesn’t come with any storage options. If you choose not to leave these lying on the counter, you’ll be stuck stashing..."
We identified the majority of the coffee makers available to purchase. 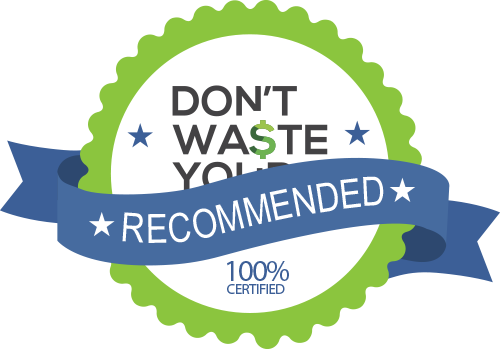 Reviews from our DWYM category experts and analysis of some of the most respected sources including: Best Products, BestReviews, Consumer Reports, New York Times Wirecutter, Digital Trends. We also incorporate user reviews from the leading retailers including Amazon, Bed Bath & Beyond, Best Buy, Walmart, Target, Home Depot, Google Express. Quick brew time. Very thorough manual. Very easy-to-use controls. Easy-to-access water tank. Easy-to-read markings on tank. Easy-to-access basket. Automatic keep warm setting. Shuts off automatically. The Oxo 9-Cup Coffee Maker brews consistent and drinkable pots of joe. It's attractive and easy to use. The grinder is excellent. Fill the hopper with beans and the integrated scale only releases precisely enough coffee beans for the number of cups you want to make. It measures out the whole beans at roughly eight grams per cup. SCAA Certified. Available in 9-Cup and 12-Cup Carafe. Makes great coffee. Freshness counter. Easy, sleek interface. Clearly marked transparent reservoir. Brew pause. 7-hole showerhead for even saturation. Pulse brew to mimic pour over. Lows: After initial break-in, testers still noticed some plastic off-tastes in hot water cycled through the machine, though you might not detect in coffee you brew. Didn't brew at an optimal temperature in our test. Didn't keep coffee hot for two hours in our test. Brewed coffee was too cold. No markings on carafe. Carafe isn't dishwasher-safe. It's expensive and brews slowly. It makes coffee that's slightly bitter. The OXO is over 17 inches tall, so you may not be able to fit it under low kitchen cabinets. The only downside is that it's a bit pricey, but we doubt you'll regret the purchase after enjoying your first delicious pot. Drips when carafe is removed. Slow brew (at least 6 minutes). Carafe doesn't pour the last few ounces of coffee. No need to stand by the machine till your cup gets ready. This product gives you automatic pause and serve option, considering your high comfort and ease. Removable water reservoir, filter baskets, and tank for ease of cleaning. Even though you forget to turn off the device, the machine shuts down after 2 hours.While you pour in your favorite coffee, the default setting of pause and serve is turned on. This keeps you safe after you have lifted the carafe from this place. Low: Fell short of recommended guidelines for brew temperature and duration. Unfortunately the electronics often break down within a year. It still makes a great cup of coffee, but you'll wish they still worked. It may take a bit longer when it comes to brew a number of coffee mugs. Be careful with the steam it releases, as it may damage the upper surface if it’s too close. When you rely on a daily cup of coffee (or more!) to get your day off to a good start, a great home coffee maker is essential. While you can certainly still use a French press or even an old-school stovetop coffee maker, these days, most people rely on an automatic drip coffee maker for their day-to-day coffee needs. An automatic coffee maker uses ground beans and filters. Whether you want a basic model that will simply brew and pour, or something more elaborate like the Ninja Coffee Bar CF094 (capable of making specialty beverages, such as flat whites, lattes and mochaccinos), there’s a coffee maker for every type of drinker out there. Some other features you may be interested in are the ability to program your maker (essential for those who can’t do a thing before their first cup of coffee in the morning), brew time and adjust the strength of your brew. Many makers also have convenience features. 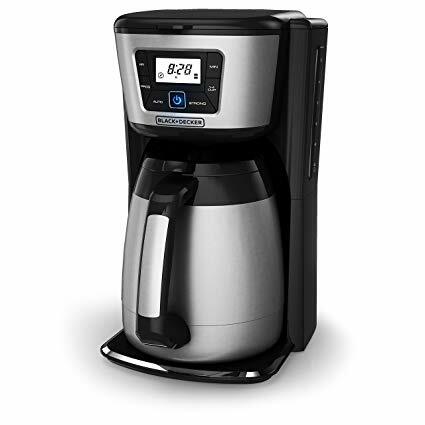 For example, the Cuisinart DCC-3200 has an adjustable keep-warm temperature-control function, while the Hamilton Beach 12-Cup Coffeemaker, has an automatic shut-off feature. Other models are designed to perfect the taste of your coffee, like the OXO 9-Cup Coffee Maker, which has an automatic pre-infusion cycle. This feature pre-wets the coffee before it begins to brew, which improves the extraction process. The extraction process determines how smooth or bitter the coffee will taste. Another factor to keep in mind is the size of your maker. 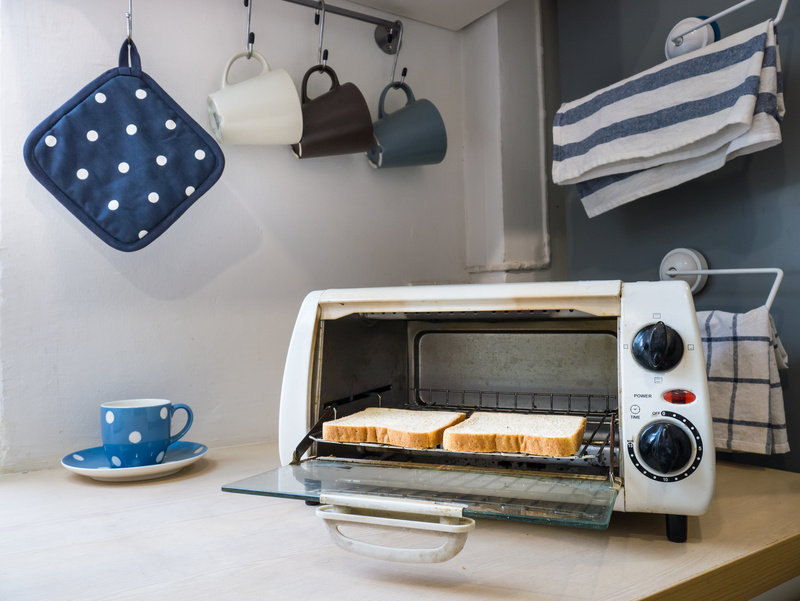 Since it will likely have a permanent spot on your kitchen countertop, you want to be sure it will easily fit and match the aesthetic of your space. Many machines these days have a sleek and stylish look that will seamlessly fit in with a variety of styles. A higher price tag does not always mean a better product when it comes to coffee makers. But like any appliance, quality will determine how long it will serve you. Be sure to check out the warranty options available and factor in how much use you plan to give your maker while deciding how much you’re willing to invest in the right coffee maker. The first drip coffee maker was invented by Melitta Bentz in 1908. However, people have been enjoying bean juice for way longer than that. The Turks were brewing coffee all the way back in 575 AD. These days, people still love their java. Americans drink an average of three cups of joe a day. About 66 billion cups of coffee are consumed in the United States per year. While it may seem like everyone heads to their local coffee shop for their morning beverage, a study commissioned by the National Coffee Association found that 79 percent of Americans said they had a cup of coffee at home the previous day. Meanwhile, only 36 percent got their caffeine fix outside the home. Score one for the coffee makers! For the best brew, start with quality beans. A lot of people prefer to grind their own rather than buy already ground coffee. To keep those beans super fresh, be sure to store them properly. That means using a sealed container with a one-way valve or a good, old-fashioned mason jar. You could also roast your own beans. There are a number of methods you can use, like roasting them in an oven or a pan or grill. While it may be tempting to wing it, measuring your coffee will give you better control over its strength and flavor. Try a ratio of about one part coffee to 20 parts water. Speaking of water, the quality of your H20 matters. Try lightly filtered water from the refrigerator or a pitcher with a filtering device. Are you the type to heat up your leftover coffee from the morning when the afternoon slump hits? Although old coffee is unlikely to make you sick, it probably won’t taste that great. That’s because coffee starts to lose its flavor just 30 minutes after it’s brewed. Within about four hours, the oils begin to go bad, which will further compromise the coffee’s taste. Your best bet is to brew a fresh pot. Keeping your coffee maker clean is a key component of maintaining its functionality. Wash removable parts after every use, by hand or in the dishwasher. Your carafe should be cleaned daily as well. On a monthly basis, you should “brew” a solution of vinegar and water to break down mineral buildup. Depending on the quality, the frequency of use and its overall maintenance, a coffee maker can last anywhere from a few years to a few decades. If the water is not getting hot enough, or it’s taking way too long to brew, it may be time to replace your coffee maker. If you want that coffeehouse taste at home, you don’t need a bunch of syrups or a super fancy coffee maker. Instead, you can actually use your traditional drip coffee maker and some common spices that you probably have on hand, such as ground cinnamon or nutmeg. Stirring in a few pieces of chocolate makes for an indulgent treat, too. For the Coffee Maker category, we analyzed 184 of the most popular reviews including reviews from Best Products, BestReviews, Consumer Reports, New York Times Wirecutter, Digital Trends, GQ and more. The result is a ranking of the best Coffee Makers.